The impact of food on our overall wellbeing cannot be underestimated. While genetics may play an equally decisive part, there’s no doubt that a bad diet will invariably lead to health issues – at least for most people. While you may get away with eating junk food occasionally, people usually get sick if they continually enjoy a poor diet, lacking crucial nutrients. The body is like an engine in need of fuel, and just like gasoline would damage a diesel engine, bad food can damage a healthy body. Food and diet have long been a central topic of conversation, but lately, faced with a major obesity crisis and ever-increasing diabetes rates, food and diet have once again become a priority. What is different perhaps for the first time, is that doctors have come to embrace the importance of diet, and are advising their patients accordingly. And, rightly so. Diet doesn’t just impact our weight or physical health, it also shapes our brain power and contributes to our emotional health. Our body processes food on a continual basis, and the quality thereof determines these processes. Let’s look at how a good or bad diet impacts on our physical, mental, and emotional health. The body needs good nutritious food to carry out its functions and maintain health. If your diet lacks vital nutrients, your body sooner or later suffers the consequences. Processed foods often lack these vital nutrients, and that’s why nutritionists advise eating plenty of freshly prepared nutritious food. Fruit and vegetables are particularly rich in nutrients and should, therefore, be a central part of any healthy diet. 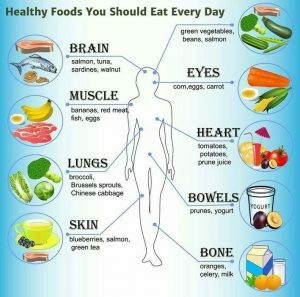 By including the above foods, you lay the foundation to good health. It is also important to remember that nutrients are best absorbed through fresh food because the body can absorb and make use of them much more effectively. Processed food often contain preservative and often lack vital nutrients. 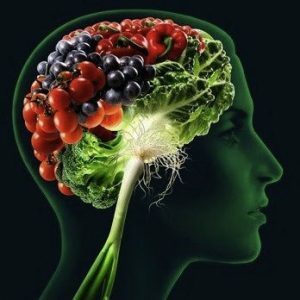 Several studies into the impact of food on our brain have indicated that certain foods can improve brain function. When we eat, the brain transforms the nutrients into brain chemicals, enabling it to function properly. Food also has a bearing on our mental and emotional health. The complicated chemical processes in our brain help to shape our emotions and the foods we eat play a crucial role in these processes. 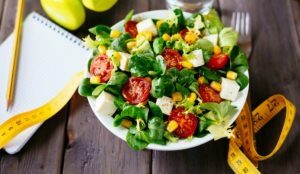 Recent studies into the use of foods in the treatment of mental health issues have indicated that certain foods can help to lift our moods and clear our thoughts and emotions. The above basics of the importance of food gives you but a brief insight into why you really are what you eat. The beauty is, that good food is easy to come by. Preparing a healthy, delicious meal that will make you feel well is a piece of cake!